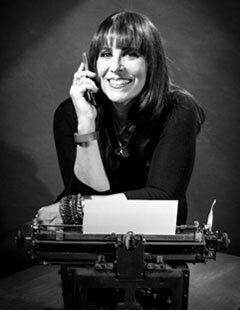 Nancy A. Shenker, founder and CEO of theONswitch, has developed and honed her superpowers as a marketing leader through decades of experience and innovation. As one of the field’s most experienced, pragmatic, and thorough strategists, she considers herself a “dual citizen” of both the traditional marketing world and the ever-evolving digital planet. Although she was trained as a classic brand marketer, she is fluent in all manner of social media marketing. Personally, she’s a Tweeter, a Linker, a Pinner, and a Facebook friend to legions. Professionally, she knows how and where and when (and when not) to use social media as powerful and essential marketing tools. Nancy has held senior marketing positions at major brand companies – Citibank, MasterCard International, and Reed Exhibitions (current producers of ComicCon). In both her corporate career and at theONswitch®, she has helped businesses, both small and large, launch, re-brand, and flourish. Her experience and expertise spans a wide range of industries, including retail, food, fashion, kids and education, health and wellness, packaged goods, real estate and shelter, marketing services, technology, service businesses, and the event industry. Nancy is a Huffington Post blogger and has been published and quoted in the New York Times, Crain’s New York, Businessweek, Enterpreneur.com, the Associated Press, Inc., AOL Small Business, Smart Money TV, Inc., Forbes, WeWork magazine, and other media. She holds an AB in English and Psychology from of the University of Michigan in Ann Arbor and a Graduate Diploma in Book Publishing from New York University. She also completed Kellogg’s Executive Communications program. She loves to mentor young people in their careers. The mother of two grown daughters, she is also the author of “Don’t Hook Up with the Dude in the Next Cube: 200+ Career Secrets for 20-Somethings” and the Publisher of sheBOOM, an award-winning community for women entrepreneurs. She is involved in several non-profits championing mentorship and education. She is the former President of the Chappaqua-Millwood Chamber of Commerce. Her first entrepreneurial venture was selling hand-loomed multi-colored potholders door-to-door and running a comic book resale business with her brothers in 1964. She was named for Nancy Drew and Nancy Sinatra and possesses the curiosity, sleuthing powers, fearlessness and go-go boots of her namesakes. Ask her what the “A” stands for and she’ll tell you (maybe).